Technology evolves at lightning speed and it dramatically impacts everything it touches; the world of broadcast and entertainment is no different. e entire gamut of innovative advancement possible in this industry remains elusive most of the time, except for one unique occasion. 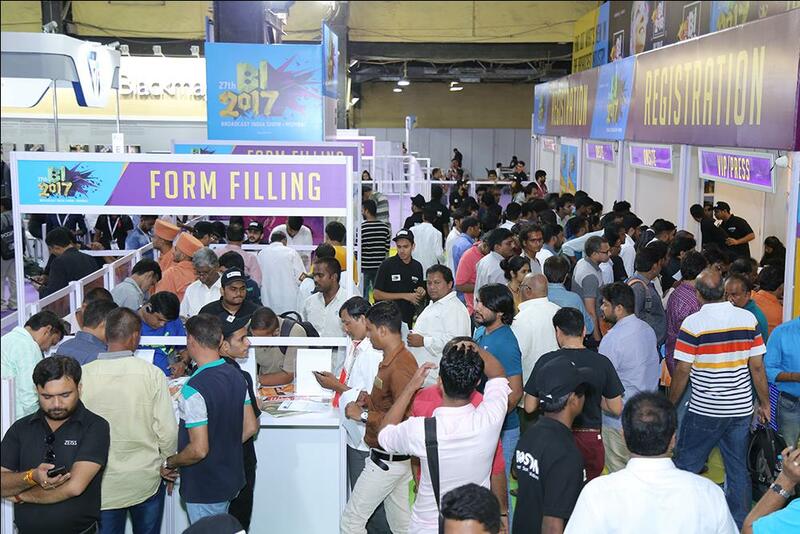 Every year, for over two and a half decades, The Broadcast India Show becomes the interactive platform that showcases on one hand, the paradigm shifts in infotainment technology across the globe. On the other, it allows you to connect with the innovators and experience the marvels first-hand. With Broadcast India Show 2019, it’s time to make way for next-gen broadcast technology – faster, easier, more productive and definitely more creative ways of working with broadcast, film, audio, radio and everything else that contributes to the infotainment industry – from its content creation to its management and delivery. Companies and corporates, veterans and professionals, suppliers and customers, visionaries, and other stakeholders from across the world will gather to realize opportunities, establish trade connections and facilitate resource pooling on the biggest scale as is the norm every year. To get an idea watch the 2017 trailer video.